Customer have some question about our Fgtech V54 Galletto 4 Master (click here) before place an order and after-sales for Fgtech V54 functions, Fgtech software and Fgtech installations. Below Autonumen select and sort these question for customer reference. 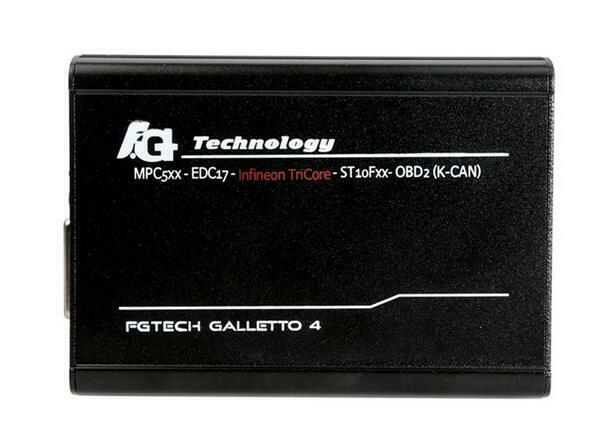 A: No, update the Auto ECU Programmer Galletto V54 software will damage the device. A: KESS V2 is better. 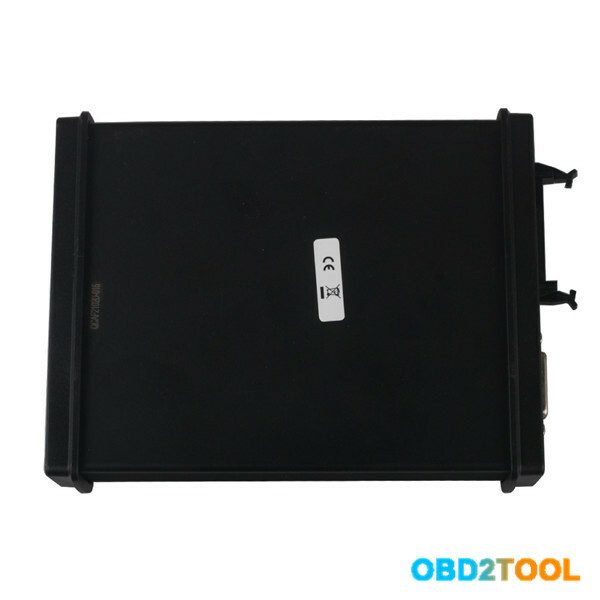 This is what you should know before automobile ecu programmer. Would you believe flash reprogrammable PCMs have been in vehicles for over a decade? The first such application was the 1990 Geo Storm. Why a humdrum car like the Storm would be the first to receive a flash reprogrammable computer system is unknown. You’d think GM would have chosen a more high profile vehicle like a Cadillac or Corvette to usher in the new technology. But they didn’t. The choice probably had more to do with production scheduling and new model introductions than profile or image. 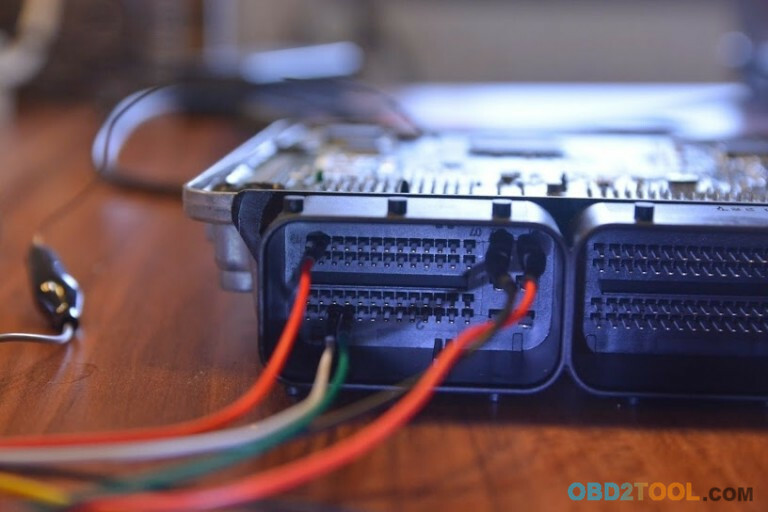 GM knew OBD II was coming and that it would require a new generation of PCMs that were faster, more capable and able to be programmed electronically. Up to this point, Program Read Only Memory (PROM) chips held all of the PCMs vital calibration information and operating instructions. GM pioneered the replaceable PROM chip as a way of programming a limited number of basic PCMs to fit a wide range of GM makes and models. A replaceable PROM chip also meant the PCM could be “retuned” if necessary to correct certain kinds of emission or driveability problems. It also meant that if a bug was later discovered in the original factory programming, it could be corrected in the field by simply replacing the original PROM with an updated corrected PROM (a tactic GM has successfully used over the years to fix many factory flaws). Performance enthusiasts also liked replaceable PROMs because the chip could be replaced with one that provided more spark advance, fuel enrichment, a higher rev limit, etc., to squeeze more power out of the engine. But replaceable PROMS had a serious drawback: there were too many of them! Every model year and every running change meant another PROM had to be created. Every field fix or recall for an emissions or driveability problem created more part numbers to keep track of. We’re talking thousands of different PROMS. The General Motors PROM Identification manual that OTC used to provide with their Monitor scan tool and Pathfinder software contained over 362 pages of GM PROM numbers! Enter the flash reprogrammable EEPROM (Electronically Erasable Program Read Only Memory) chip. 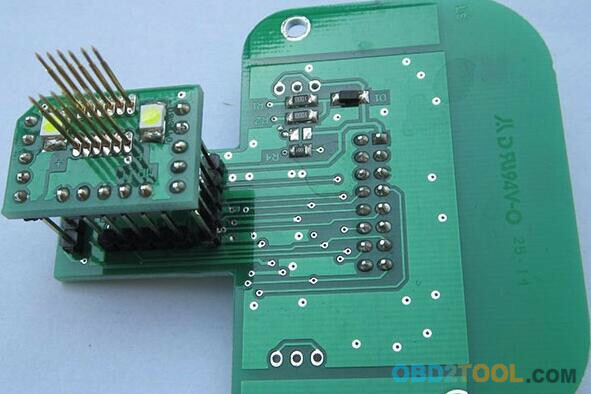 PCMs built with EEPROM chips can be reprogrammed in a matter of minutes without having to remove the PCM or replace a single chip. It’s all done digitally with the proper access codes and input data. Following the Geo Storm, GM began phasing in PCMs with flash reprogrammable chips in a variety of cars and trucks. By 1995, most GM models had the flash reprogrammable PCMs. Ford and Chrysler were also doing the same thing as OBD II arrived on all cars and light trucks in model year 1996. Today, almost all PCMs have reprogramming capabilities so changes and upgrades can be made if needed. That’s over 100 million vehicles that have been built since 1996. As we said earlier, PCMs may need to be reprogrammed for several reasons. One is to fix factory bugs. Every time Windows OS or a new phone for example, comes to market, it they always turns out to have bugs and security holes that were somehow missed but must be fixed by downloading and installing the latest patch. It’s a never ending cycle of upgrades and patches. Fortunately, it isn’t that bad yet with automotive PCMs, but it has become a crutch for automakers who rush products to market that aren’t quite ready. This philosophy of “build it now and fix it later” creates a lot of unnecessary recalls, but at least it gives technicians a way to fix factory mistakes without having to replace any parts. 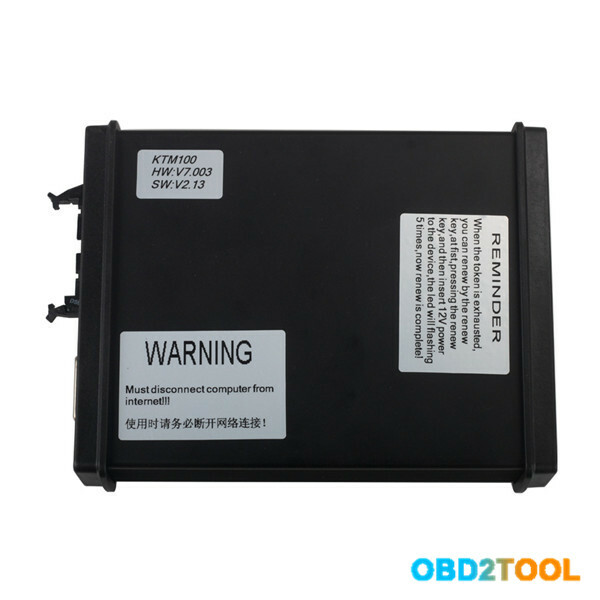 A reflash may also be required if the factory settings for the OBD II self-diagnostics turns out to be overly sensitive — especially after a few years of operation. The same goes for driveability. What works fine in a brand new car many not work so great after 50,000 or 100,000 miles or real world driving. Changing the fuel enrichment curve, spark timing or some emission control function slightly may be necessary to eliminate a hesitation, spark knock or other condition that develops over time. For example, on certain GM vehicles the Check Engine light comes on and sets a code P1406 that indicates a a fault in the position of the exhaust gas recirculation (EGR) valve. Cleaning or replacing the EGR valve and clearing the code does not fix the vehicle because the code usually returns. The real problem is the OBD II programming in the PCM. When the PCM commands the EGR valve to open to check its operation, it isn’t allowing enough time for the valve to respond. A brand new valve takes only about 50 milliseconds to open but an older valve may take up to 350 milliseconds or longer — which isn’t long enough to cause a real NOX emissions failure but is long enough to trip a fault code. The fix in this instance is to reflash the PCM with new instructions that allow more time for the EGR valve to respond. 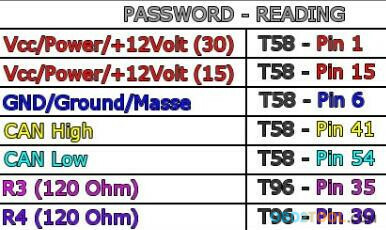 Another example are rich codes that may appear on some late model GM vehicles. The problem here is that the original OBD II self-diagnostic programming doesn’t allow enough leeway for changes in intake vacuum that occur as the engine ages. After 60,000 miles, intake vacuum isn’t as high as in a new engine which can create a rich fuel condition. The cure is to flash reprogram the PCM to compensate for the drop in vacuum. When vehicle manufacturers calibrate the onboard diagnostics to meet federal emission standards, they have to draw the line somewhere as to what operating conditions might cause emissions to exceed federal limits 1.5 times. That’s the threshold where a fault code must be set and the Check Engine light must come on. It doesn’t mean emissions really are over the limit, but it is possible based on laboratory dyno testing and field experience. Depending on the application, the vehicle manufacturer may even set the limit a little lower just to be safe because the last thing any OEM wants is an expensive emissions recall. Unfortunately, vehicle manufacturers don’t always tell us their diagnostic strategies or even their operating strategies for their computerized engine control systems. Some service manuals include a fair amount of system background information but others provide almost nothing beyond a basic diagnostic flow chart. Maybe the engineers who design this stuff think technicians only need flow charts and assembly instructions to fix vehicles today. But it often takes a much deeper understanding of the system operating logic to figure out what’s setting a particular code — especially when the cause isn’t obvious. The best advice when confronted with a troublesome code that keeps coming back or seems to set for no apparent reason is to check for any Technical Service Bulletins (TSBs) that may have been published. Changes are it might be a programming issue that requires a reflash to fix. Something else to keep in mind with respect to all late model flash reprogrammable PCMs: if you replace the PCM for any reason, the replacement unit must be reflashed before it will start the engine! If the PCM is not programmed, it’s just a dumb box like a PC without an operating system. Some remanufacturers who supply reconditioned PCMs now flash program PCMs for specific vehicle applications. But to do this, they need three critical pieces of information: the vehicle identification number (VIN), the type of transmission (manual or automatic) and the emissions type (federal certification or California). Your other option is to flash reprogram the PCM yourself. Until recently, car dealers were the only ones who had access to the tools and software needed to reflash PCMs. Thanks to the passing of Senate Bill 1146 in September 2000, vehicles manufacturers must now make this technology available to independent repair shops at reasonable cost. Starting in 2004, flash reprogramming procedures must also conform to SAE J2534 standards which allow the use of aftermarket scan tools or similar pass-through devices. 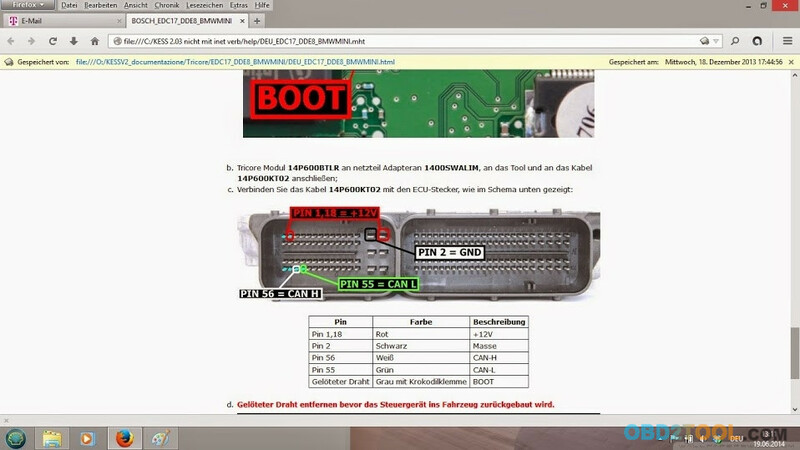 Reflashing PCMs requires three things: a scan tool or J2534 pass-through device that is flash capable, a Windows 98 or higher PC with a modem and internet access for downloading the flash software from the vehicle manufacturer’s website, and a subscription to the manufacturer’s database so you can access the automotive eeprom programmer. 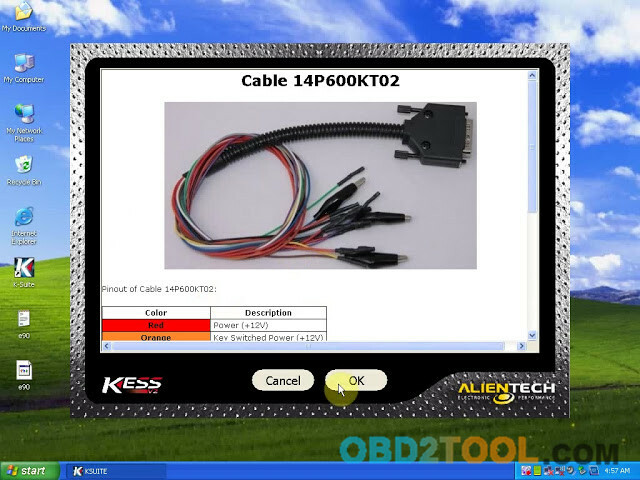 Other items that are needed include a cable to connect the PC to the scan tool or J2534 pass-through device, and a cable to connect the scan tool or J2534 pass-through device to the OBD II connector on the vehicle. For GM applications, you need a Tech 2 scan tool or Vetronix Mastertech. 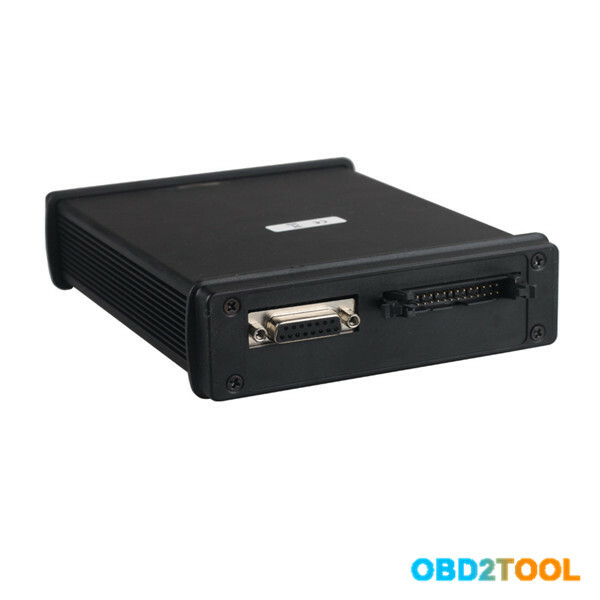 For Ford applications, you need a Ford New Generation Star (NGS) scan tool. For Chrysler applications, you need a Diagnostic and Reprogramming Tool (DART). Chrysler dealers use the Mopar Diagnostic System (MDS2) and DRB III scan tool. For import applications, you need whatever factory scan tool the dealer uses, an aftermarket scan tool with reflash capabilities for that vehicle, or a J2534 pass-through device that will work on the vehicle. Yearly and monthly access fees to OEM databases tend to be very pricey for the average shop, but one day or short term access fees are typically available for $20 to $25. The cost can and should be passed along to your customers. After all, it’s their PCM that’s being reflashed so why shouldn’t they pay the OEM software access fee? The flash procedure usually takes only a few minutes and is similar to installing new software into a computer. The only difference is that you’re downloading the new software through a modem and scan tool into the vehicle’s PCM through the OBD II diagnostic connector. On GM vehicles, a list of flash updates that are available can be found on GM’s Vehicle PCM Calibration Information website at http://calid.gm.com. 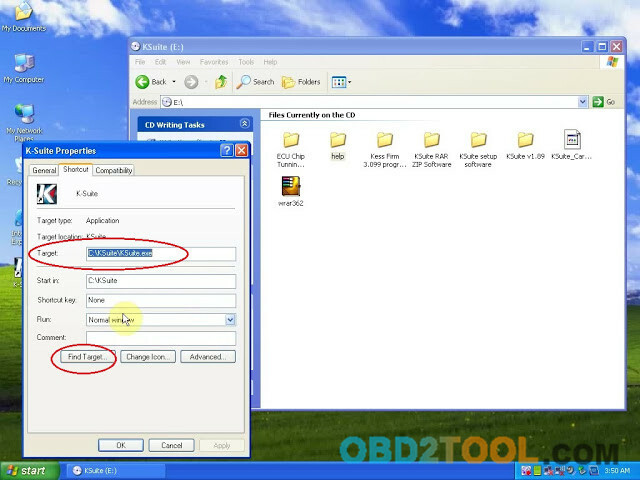 2.Connect your PC to the Tech 2 scan tool with a RS232 cable pass-through device. 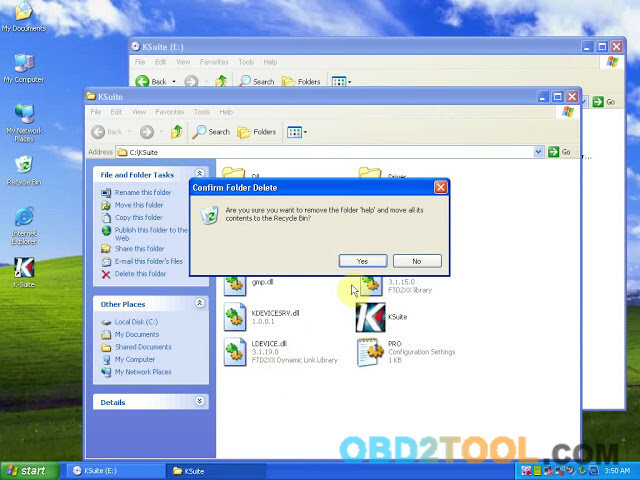 3.Start the GM recalibration software program on your PC and enter the vehicle application information (year, make, model, etc.). 4.Connect the Tech 2 scan tool to the diagnostic connector on the vehicle (located under the dash near the steering column). 5.Switch the Tech 2 scan tool on and wait for the Start Screen. 6.Validate the vehicle VIN number. 7.Choose the operating system, engine, fuel system, speedometer or transmission. 8.Select “normal reprogramming” or “VCI” (special modifications). 9.Choose the update bulletin/recalibration number from the menu. 10.Start the transfer of data. The reprogramming procedure takes about three minutes, and can be done with the computer in or out of the vehicle. The PC screen will display a blue progress bar as the software is uploading to the vehicle. NOTE: The mdi gm scan tool setup won’t allow the same calibration to be reinstalled over itself. Only an updated calibration can be loaded into the vehicle computer. When the software has finished loading, the message “PROGRAMMING COMPLETE” will appear. The scan tool can now be disconnected from the vehicle (turn ignition off first), and any subsequent relearning procedures that may be needed such as the crankshaft position variation relearn procedure can now be performed to finish the update. For sake of comparison, here’s the flash reprogram procedure a Chrysler dealer would use. This one happens to be for a recall Chrysler issued for 1999 California Dodge Ram Pickups and Vans with 5.9L engine (“Z” engine code in the 8th VIN position), automatic transmission and California emission control system (code NAE). The OBD II catalyst monitor on these vehicles may not detect a catalyst failure so the PCM programming had to be revised to comply with California’s regulations. 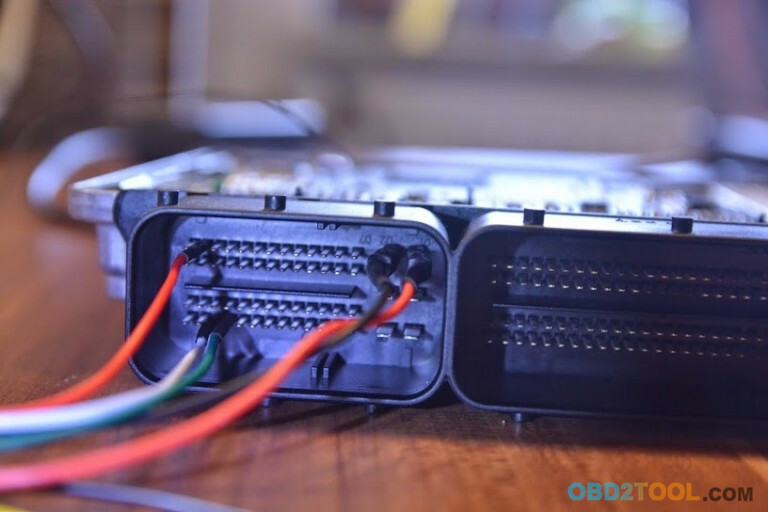 The dealer accesses the latest software through the modem connection in the Mopar Diagnostic System, and feeds it through the DRB II scan tool into the vehicle’s PCM via the OBD II connector. The process begins by turning the ignition key on (engine off) and allowing the scan tool to “auto connect” with the PCM. Once the lines of communication are open, the vehicle VIN is displayed on the scan tool. He can now press the “OK” button to proceed with the reflash procedure. The software number should be compared to the latest version to verify the numbers match just the same. If the PCM has not yet been updated, the technician clicks OK, selects the new software part number and clicks “Update Controller Software.” From that point on, the process is automatic — but there’s a hitch. 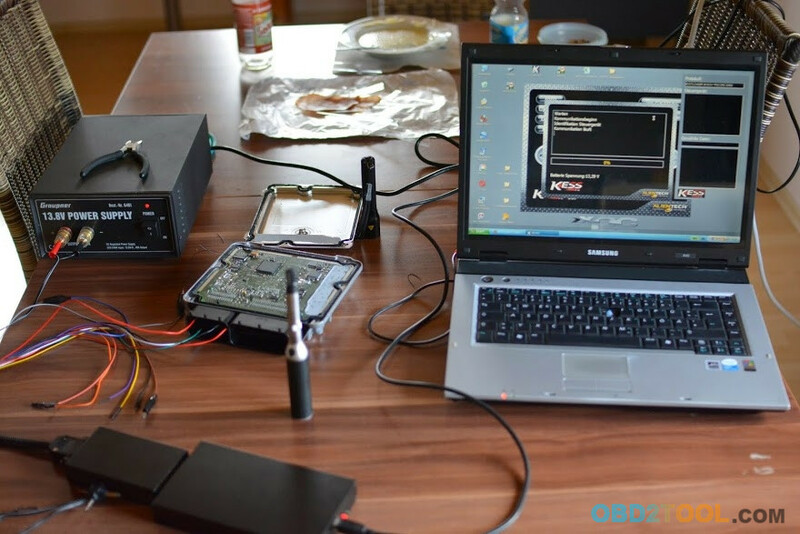 During the flash reprogramming procedure, the PCM loses communication with other modules on the vehicle which may set a number of “false” trouble codes for the transmission module, ABS module, body control module, etc. This does not indicate a problem and the codes can be erased after the flash reprogramming procedure has been completed. 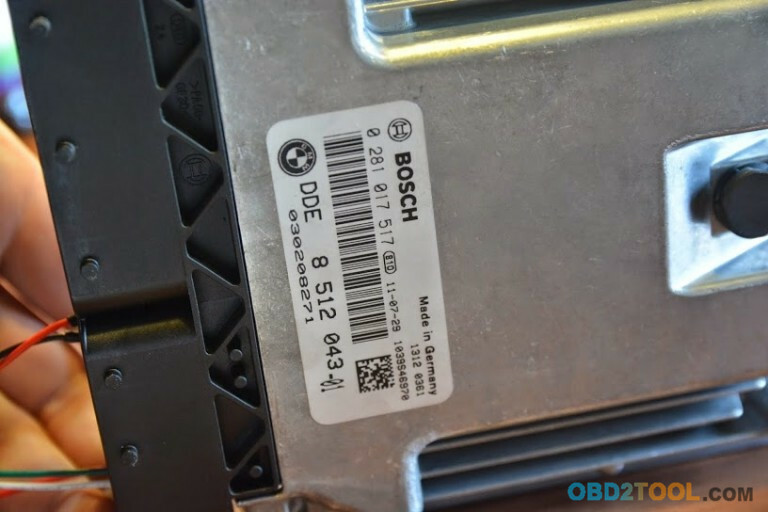 The technician is also supposed to attach a label to the PCM with the reflash part number and date indicating the PCM has been reflashed. So what happens if something goes wrong during a reflash procedure? Anyone who has ever experienced a crash while installing new software on a PC knows it can really screw things up. Chrysler issued a TSB (18-32-98) that deals with how to recover from a flash reprogramming failure. Common causes of flash errors include poor cable connections between the PC, scan tool and vehicle, loss of power to the diagnostic equipment while the flash procedure is underway, turning off the vehicle ignition switch before the flash procedure is complete, unfamiliarity with the procedure (pushing the wrong buttons), or low vehicle battery voltage. If the process crashes, recheck all the cable connections to assure good communications and reinitialize the flash procedure. In other words, if at first you don’t succeed, try, try again. On the Chrysler applications, you may also have to identify which type of controller is on the vehicle (SBEC2, SBEC3, JTEC 96-98, JTEC+ 99, etc.) to get the system to accept the new programming. If you get an error message again, you probably selected the wrong controller type (try again!). Doing your own flash reprogramming is not without risk. But for some shops it may be a more practical and profitable alternative to sending vehicles back to the dealer every time a PCM needs to be updated or replaced. 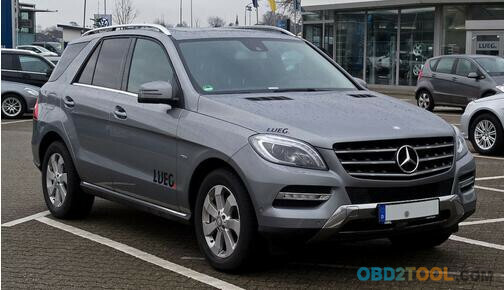 It’s possible to make full read of Mercedes ML w166 edc17cp46 with KTAG clone and trasdata software? 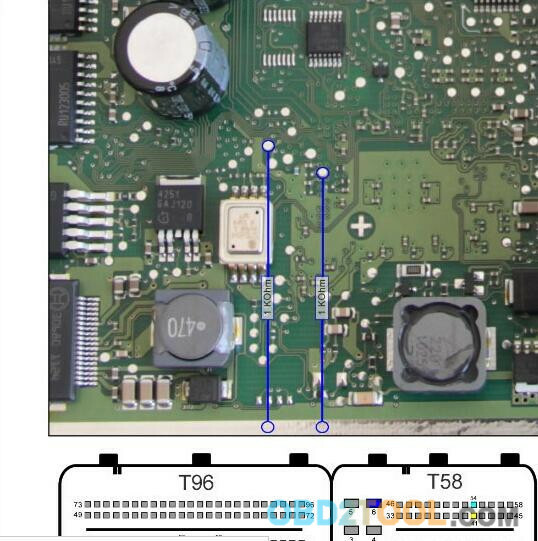 Actually, no one Fgtech clone work on this ecu, missing password. So you can not read ecu with Fgtech ! Use Transdata or KESS KTAG with GPT optione ! 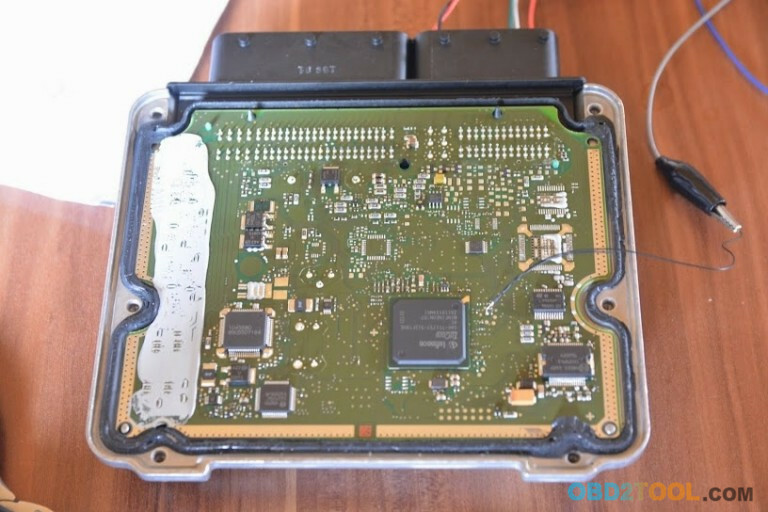 To use this protocol of communication you have to remove and open the KTAG ECU ProgrammerIt is a risky operation, to be done with great care and caution to avoid damaging the ECU beyond repair. 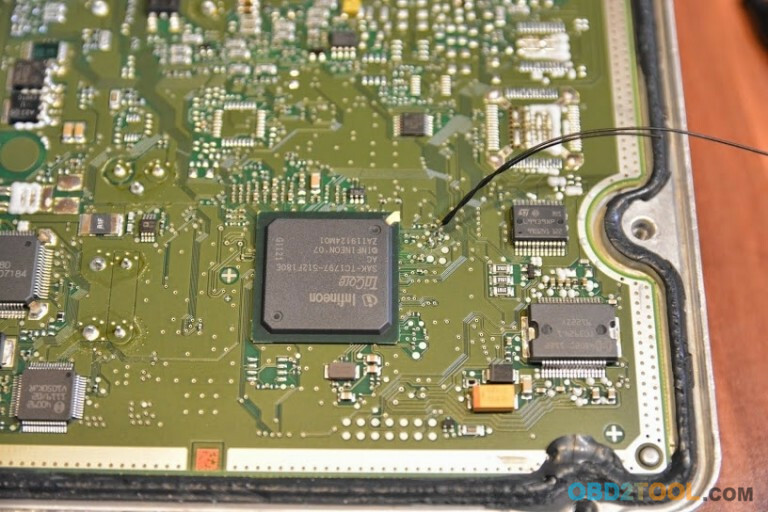 BDM is an acronym for Background Debug Mode, an interface designed by the Motorola company, widely used in automotive industry, present on modern ECUs. Not all ECUs are capable of interfacing through the BDM – see Appendix for the list of ECUs that support the BDM interface. IDC connector for interfacing the multiplexer board. KSuite V2.37 is newly tested working fine on the available KESS V2 / KTAG ECU Programmer clone. 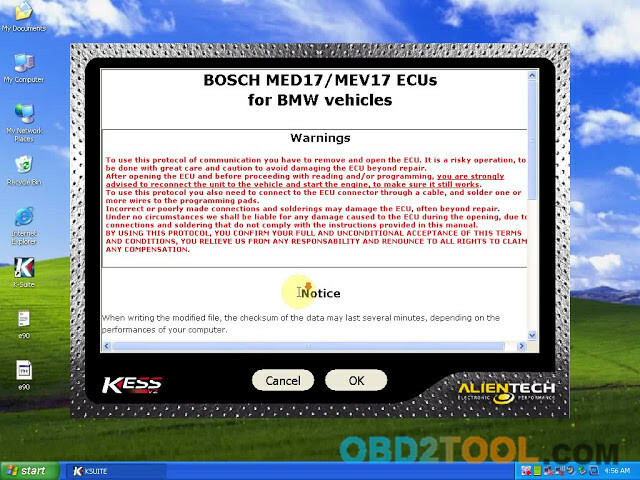 Below parts will include KSuite V2.37 workable interfaces, test report on vehicles / protocols/ functions/ special BMW MED17/MEV17 ECUs and installation guide. 4) BMW MED17/MEV17 ECUs works. As you can see, it is very easy to use KSuite V2.37 since it is built in “pop-up” instructions. Main step 1. Click “Setup 2.37″ to install ksuite driver. Main step 3. Plug Kess V2 master / Ktag master interface to the computer. I have problems with my Kess V2 and need help. 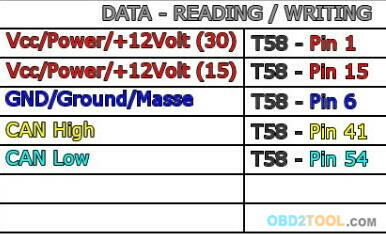 I try my BMW e91 318d read and write EDC17 c41 DDE8. 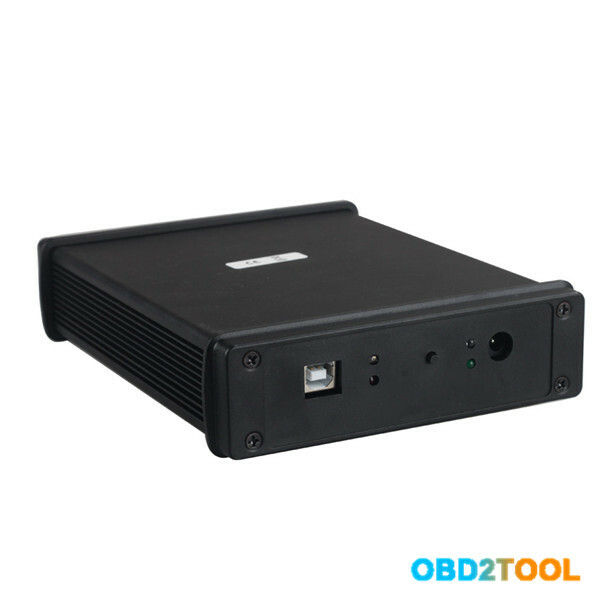 Step 1 with OBD connector – TOOL – OBD2TOOL I can do, no problem, everything is OK. 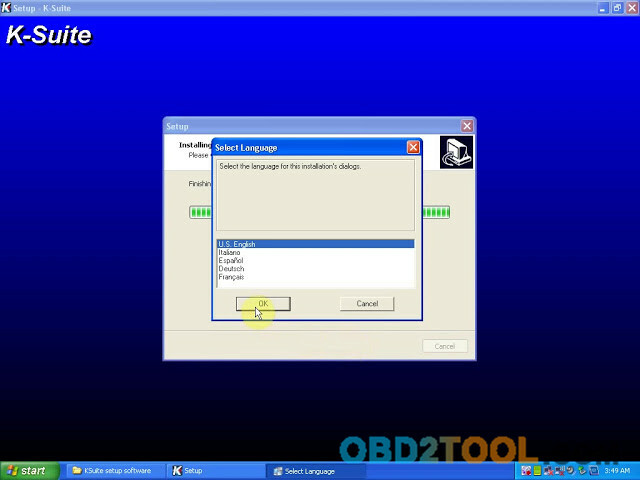 Step 2 boot loader with backup read – many communication problems -> Crash! After many attempts, I was able to read backup! 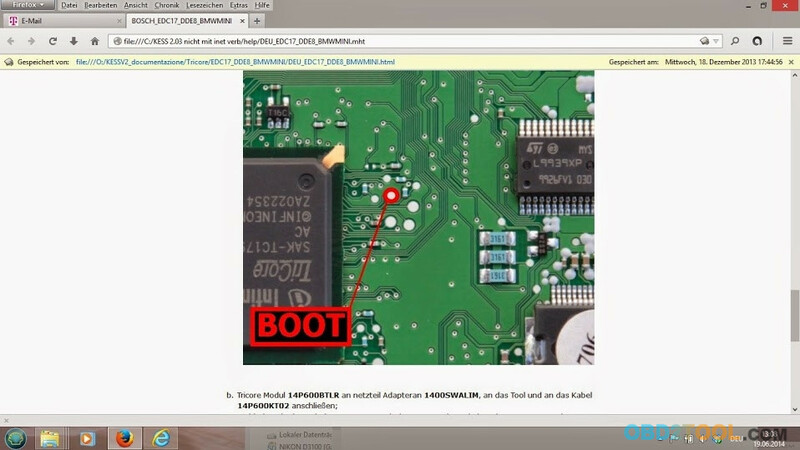 Step 3 with Flash boot loader (ECU) read – many communication problems -> Abort, abort, abort! After many attempts, I was able to read original file but in the end came problem # 2 -> Checksum error. Internet was always as KESS V2 was executed. We have attached a log file and some pictures. 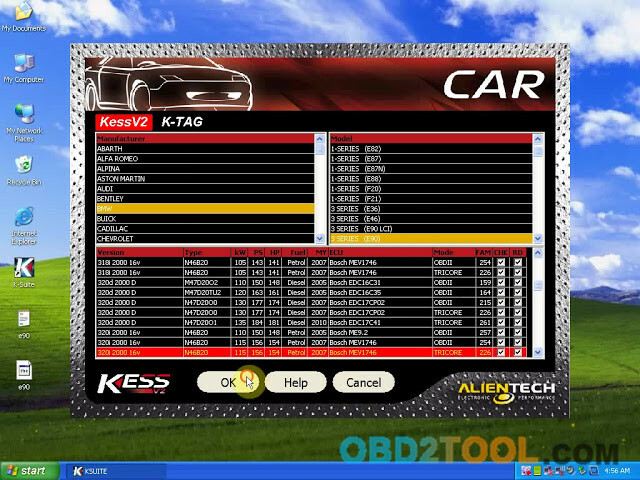 It means KESS V2 can’t read and write this type of ECU, ECUs on the same car model in different areas are sometimes encrypted in different ways, and therefore the tool cannot always work on the same car model. 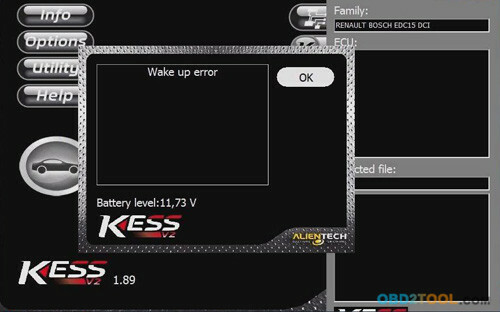 If you get “Wake up error” when running KESS V2 V5.017, please format the TF card firstly and then copy the whole software again back to TF card, finally to reflashing the CPU program. 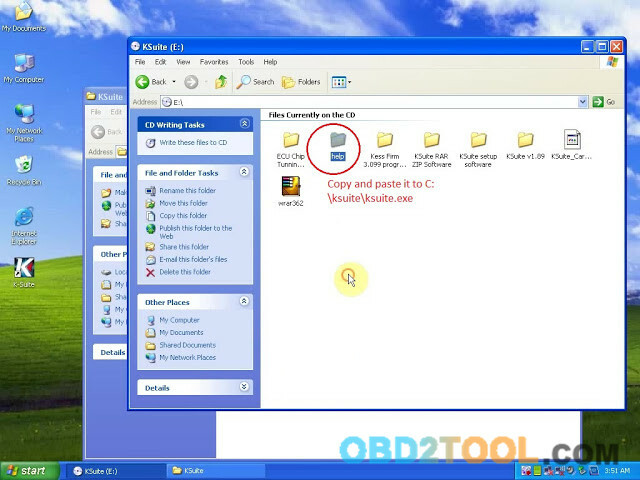 Step 1: receive the “kess v2 up” compressed file from us online. 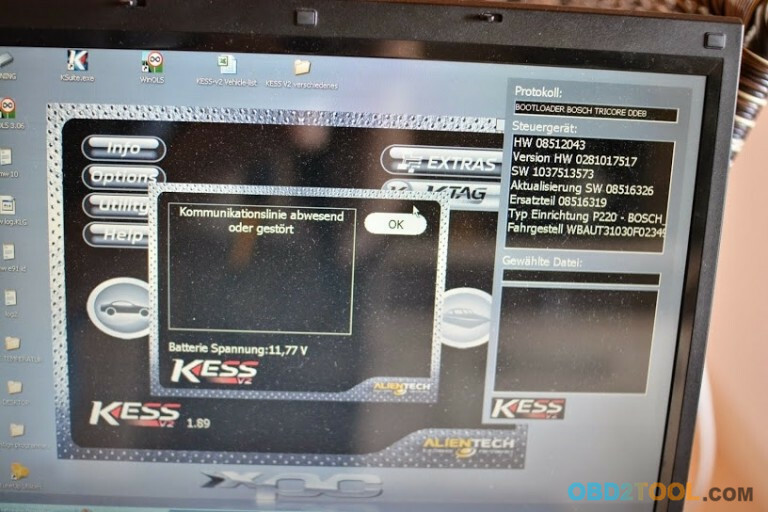 Kess v2 ecu chip tuning tool fails to read out TF card program or the program in the TF card is not working. There are 2 reasons result in Kess v2 fails to read out TF card program. 1) The four pins of chip are not firmly soldered on the main board. 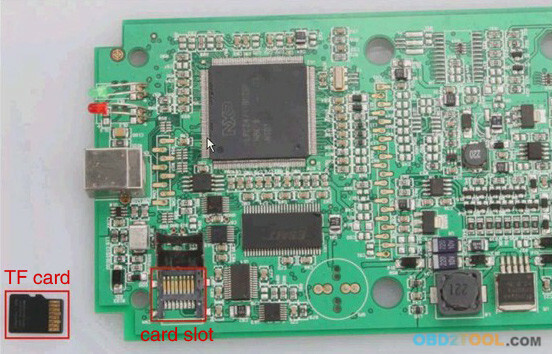 2) The chip is disconnected to the main board for a long time use. Solder again the chip; make sure it is tightly connected to the main board. If it is not the chip problem, do the following jobs. Use brush to clean up the shrapnel on the card slot. Maybe the card slot shrapnel is not flexible enough; use something like a needle to lift it up, to make sure the shrapnel and the TF card is well connected. 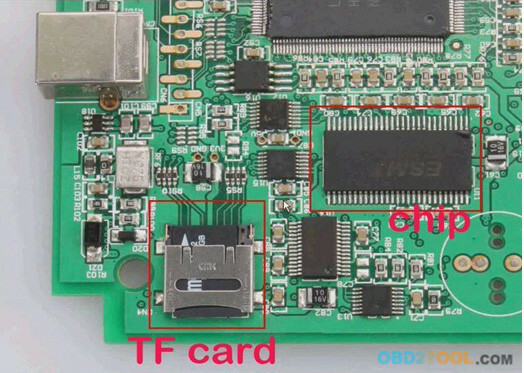 Remove the TF card and clean up it, then insert back to the card slot. If it is still not working, format the card and copy the software back to the card. Finally, reflash the CPU program, after finish reflashing, copy and paste the software to the TF card again. Our customers feedback some problem about kess v2 on OBD2TOOL,we sovled it and have written below,if you have same problems,it will help you. Send back the full set of KTM100, the update fee is 140USD, Not including the shipping cost.